Many thanks again to you and your company for an enriching and enjoyable theatrical experience for our mums, bubs and grandparents. We hope to do it again in the future! Culture Mamas. 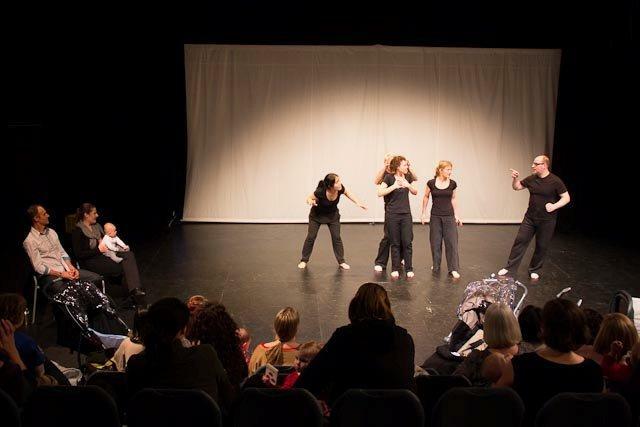 Over the weekend we run professional development workshops and performed to public audiences on the Saturday and Sunday nights. Last night we told stories to Playback: I shared & revisited an extraordinary moment in a jungle in Mexico, of terror and exhilaration when I accidentally disturbed a rabble of Ulysses butterflies from their hiding place in a fallen & hollowed tree. They flew out & over my head in a beating storm of sound, and away as a mass of bright blue. The Playback team encapsulated and reflected this moment, bringing and giving the moment’s sensation and feeling. Same too for my husband, speaking of an experience when he & his cousin faced a sea-eagle, the three of them arms/wings outstretched: the were boys facing a strong wind and pretending to fly and the bird hovered, suspended – a metre in front of them, observing the boys as strange equals. The bird dived down and snatched a mouse hiding in the grass from between the feet of the boys, and held it prize-like in front of the boys for just a moment before flying away with it’s prize. It was a delight to see the se stories, and to have them shared with the audience at Theatre Works last night. Such improvisational mastery these performers, musicians and the lighting operator have. Truly they are very, very good listeners – hearing us, and each other and playing exquisitely. 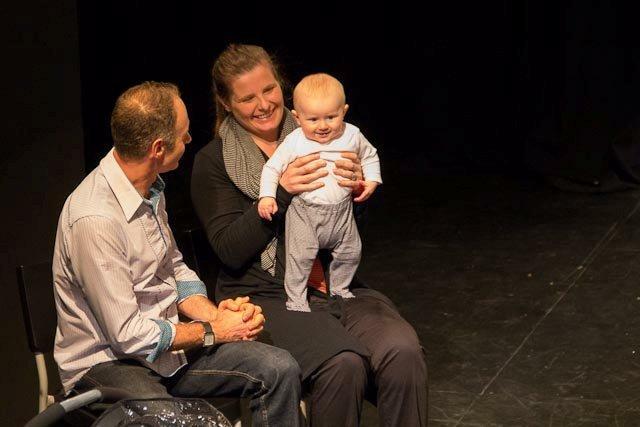 Melbourne Playback Theatre Company would like to thank everyone who attended and shared their stories and thanks Theatre Works for all your help and support.